Why do you want to go on the Camino? Do you want an adventure, a challenge, a life-changing experience, a spiritual or religious awakening? Do you want to immerse yourself in another culture, or experience the awe inspiring works of nature and man? Would you feel a sense of accomplishment from having earned a Compostela? Of course you can do any and all of these things on the Camino, and that is part of its charm. No two people are alike, of course, and chances are that you will find that some of its gifts appeal more to you than others. In our view, all comes down to what it means to be a pilgrim. Not undertaking the trek for religious purposes, we at first shied away from considering ourselves as pilgrims. Weren’t pilgrims religious refugees like those who celebrated the first Thanksgiving, or those devout Muslims who undergo great hardships to once in a lifetime travel to Mecca? Not so, we learned. Based on the Latin peregrino, meaning wanderer, stranger, or foreigner, the word pilgrim can describe anyone who travels in search of something. The something can be anything of religious value, but instead might be adventure, knowledge, or any of an endless number of goals, the sum of which may be complex and poorly understood by the searcher. Many people seem to combine walking the Camino with a more typical vacation or tour. We have found mixing and matching these to be difficult and unsatisfying. 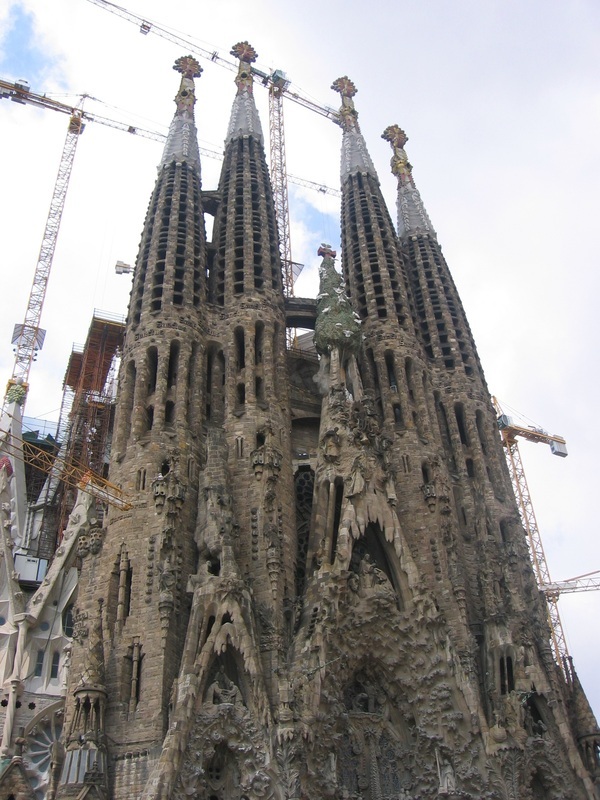 In 2008 we spent a week touring Madrid and Barcelona after completing our walk. 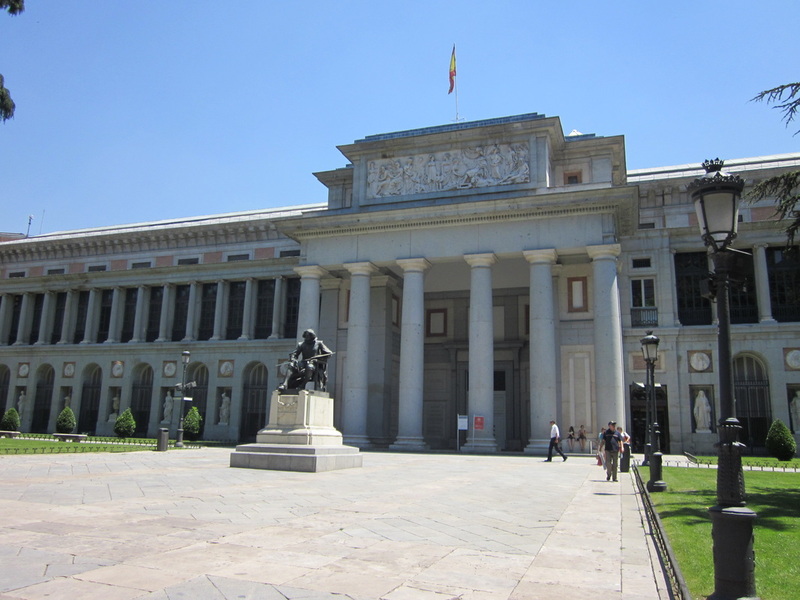 Staying in hotels and visiting museums, cathedrals, and other sights was radically different from our time on the Camino, and we found the change to be jarring. Even spending extra time in Santiago, although something not to be missed, was less appealing to us than the walking. Spires of Gaudi's incomparable La Sagrada Familia in Barcelona. We enjoyed our visit, but unfortunately found ourselves feeling like everyday tourists. 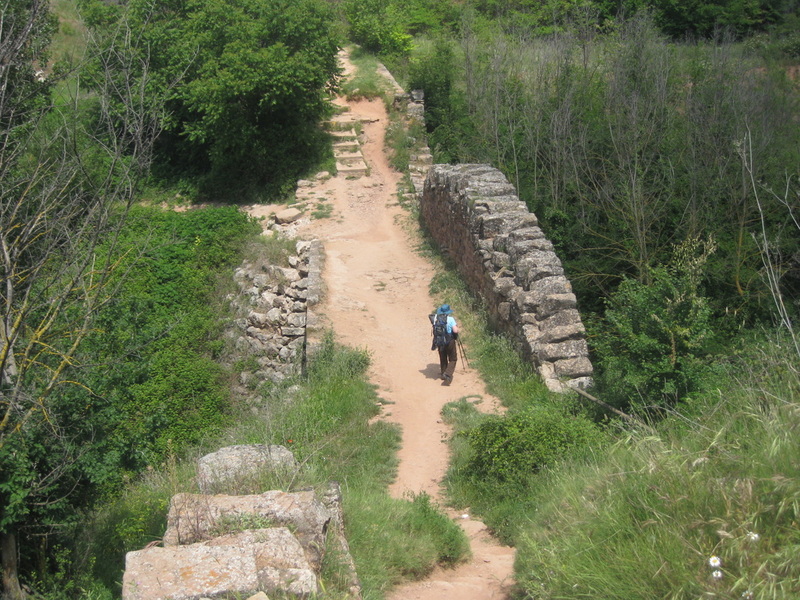 Caesar Augustus is said to have crossed this bridge in 27 A.D. Walking on a seemingly endless path that may trace the routes of the ancients, carrying on your back everything you will need for weeks and weeks, resigned to whatever the weather smiles or cries on you, and thinking only of the next step or the next daily destination takes one into a place seldom visited. You give yourself up to the walking. At times it may lead you to an almost meditative state. The effect of this departure from your routines, despite smartphones and occasional reminders of what is happening back home, is to sweep away much of the clutter of modern life. This cleansing produces a clarity of thought and simplicity of purpose unlikely to be found elsewhere. Back to basics in the outward life encourages a back to basics in the inner life. The Camino may be rough on the body, but it is good for the spirit. Having said that we don’t like to behave like tourists when we’re on the Camino doesn’t mean that we haven’t been witnesses to wondrous sights and lasting experiences. You could have difficulty distinguishing some of these from experiences a tourist might have, but for the most part the things that have made the biggest impressions on us are those that are unique to the Camino. In order to share them with you, we will be putting up a series of photo essays, conveying as best we can what for us were the real rewards of the Camino. And there’s more. Many of the places and experiences that have impressed us most have found their way into our recently published novel Second Wind. 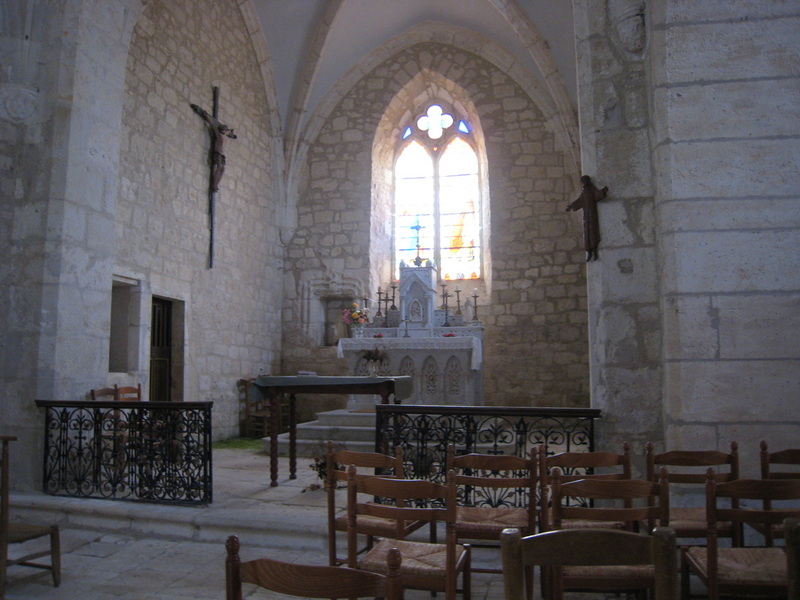 We didn't feel like tourists in this little church in a French town, and we wouldn't have seen it at all if our innkeeper hadn't loaned us the key.